If you’ve ever wondered if you could grow your own avocado tree with a seed you had left, rest assured you can! All you need are patience and sunlight. There are many different methods people use to grow avocados from seed, we’ll cover a few of them here. Method one: The toothpick method. Step one: Cut the avocado in half and remove the pit. Rinse the pit with cool water, then dry it with a paper towel. Step two (optional): To make it germinate faster, you can carefully peel the upper layer off the pit. Step three: Start gently pressing toothpicks into the avocado seed. Important: They don’t have to go all the way through! You just need to gently force them into the seed. Force the toothpicks in at a slight downward angle, so they stick out pointing upwards. Step four: Place the avocado with the toothpicks on top of a glass of water. 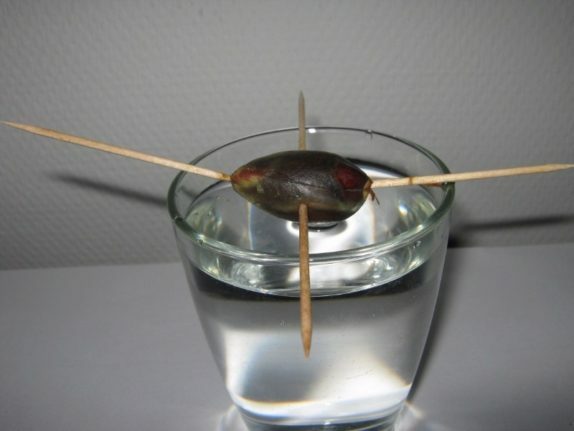 Add just enough water so that the avocado seed is partially submerged in water. The image above actually needs slightly more water. Step five: Move your seed near a window, or outside if you live in a warm climate. Wait for the root to emerge, this will generally take three to eight weeks. This is as simple as it sounds. Step one: Remove and clean the pit. Step two: Fill a pot or a five gallon bucket with soil or compost. Step three: Gently press the avocado seed in, until it is about halfway covered. Step four: Sprinkle some water until the seed is moist. Step five: Check the soil every few days to see if it needs more water. After two to eight weeks a sprout will come out and a thick little root will push down into the soil. If you live in a warm climate, you can place the avocado outside when the weather is favorable. This is a pretty cool method that I would recommend, as the hatching rate seems to be higher. 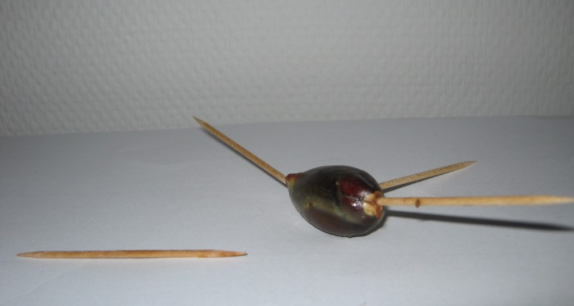 An Avoseedo is a little plastic boat, that dips the avocado seed in sufficient water for the seed to hatch, without any need to damage the seed with toothpicks. Another drawback to the water glass method, is the water level can drop frrom evaporation, causing the avocado seed to go dormant. The boat is always at water level so the seed will never dry out. Step one: Find an Avoseedo. These are hard to get in stores, so I would recommend looking online. Step two: Place your avocado seed in the Avoseedo. Step three: Place the avoseedo in a glass filled with water. 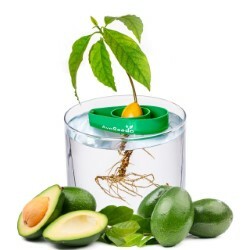 The avoseedo will float on top, thereby giving your seed the right amount of water. I’m embarrassed to admit, my own avocado tree is not performing as well as I’d like. There are multiple reasons for this. An avocado tree benefits from plenty of sunlight, but the location I placed mine receives very little. This cloudy winter has been particularly harsh on my little tree. The advantage of growing the tree in a bucket should be clear here: In summer, when the weather outside is good, I can easily move this tree outside. It’s also necessary to make sure you avocado tree receives enough nutrients. As you can see, my tree is quite big for his bucket. I have recently started giving this tree some plant food spikes, so hopefully it will recover. If you have any other suggestions on what I can do to save my avocado tree, please leave them in the comments below! Any avocado tree you buy is grafted on different root stock. 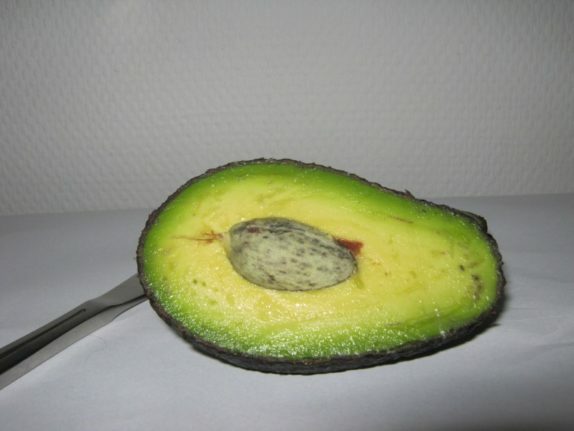 If you have a Hass avocado seed, you may not get a decent avocado from seed. Also, most need a second tree as a pollinator. Good luck with your tree. Thanks Kim, those are good points you make.